14 April 1912 – according to passenger Archibald Gracie IV, it was the last hymn sung at a church service presided over by Captain Edward John Smith on the morning before the RMS Titanic sank. 1941 – on board HMS Prince of Wales at a religious service attended by Winston Churchill and Franklin Delano Roosevelt as part of the conference creating the Atlantic Charter. H. G. Wells quotes the seventh stanza of the hymn in the first chapter – "The End Closes in upon Mind" – of the very last of the 146 books he published during his lifetime, the bleak Mind at the End of its Tether (1945), and adds his own comment: "But hitherto other sons have appeared, and now only does life pass plainly into a phase of complete finality, so that one can apprehend and anticipate its end." Bing Crosby included the hymn in his album Beloved Hymns (1951). It was sung at the funeral of Winston Churchill. It is the University Anthem of the University of California, Berkeley. 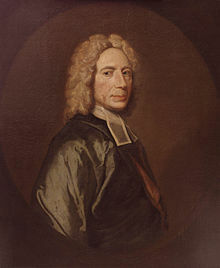 It is also the School hymn for King Edward VI School, Southampton, which Isaac Watts himself attended, the peal of the Southampton Civic Centre clock tower and The Laidlaw Memorial School and Junior College, Ketti. It is the official college hymn for Coe College in Cedar Rapids, Iowa, Wooster School in Danbury, Connecticut, Scottish Church College, Kolkata and St. Stephen's College, Delhi; and is sung at formal occasions such as baccalaureate and commencement exercises. It is the foundational hymn of the Nisga'a Nation. It is a prominent hymn in the Hymn Book of The Bishop's School, Pune. Repeatedly sung by the late Principal Mr. B. W. Roberts at the morning assemblies. The hymn tune is employed prominently in John Addison's Academy Award-winning score for the 1963 movie Tom Jones. In Evelyn Waugh's Decline and Fall the prisoners communicate the death of Prendergast, bypassing a rule of silence by amending the words of the hymn in chapel. The lines "Time, like an ever rolling stream,Bears all its sons away;They fly, forgotten, as a dream Dies at the opening day" are the first lines of the first song "Bath" on The Divine Comedy album Promenade. The fifth stanza of this hymn forms the epigraph for the novel The Shadow of the Torturer by the American science-fiction writer Gene Wolfe. It is also the school anthem of the Boys High School, Allahabad, India, now known as the Boys High School & College, originally established in 1822 to cater to the education of European children in British India. In wondering "what relationship this present reality bears to an ultimate reality," author Marilynne Robinson quotes the, "Time, like an ever-rolling stream," stanza in her 2004 book, "Gilead". On 10 November 1986 it was sung at the launch meeting of Ulster loyalist paramilitary group Ulster Resistance, a gathering of over 2,000 people at Ulster Hall, Belfast, where the hymn was described as "Ulster's battle hymn". It was the processional hymn at the funeral of US Supreme Court Justice Antonin Scalia on February 20, 2016. Italicised lyrics denote verses not commonly in current use. ^ "apmn - Donrita Reefman". Apmn.org.au. Retrieved 28 July 2018. ^ Parker, WG. "An Historical link with 1941 – World War II". Archived from the original on 22 August 2011. Retrieved 17 August 2008. ^ Cobain, Ian (27 June 2017). "Troubled past: the paramilitary connection that still haunts the DUP". theguardian.com. Retrieved 27 June 2017. ^ Some versions substitute "under" with "beneath". ^ hymnary.org Lutheran hymnal 1814 has "while life shall last"